Olympic swimmer Michael Phelps was arrested on suspicion of DUI early this morning in Baltimore, according to the Maryland Transportation Authority. Police said Phelps was going southbound in his Land Rover on I-395, just before the Fort McHenry Tunnel, when radar clocked him doing 84 mph in a 45-mph zone. The officer followed Phelps through the tunnel and stopped him just beyond the toll plaza, police said. "Mr. Phelps … was unable to perform satisfactorily a series of standard field sobriety tests," police said in a statement. Police said he was cooperative. Phelps was charged with DUI, excessive speed, and crossing double lane lines. 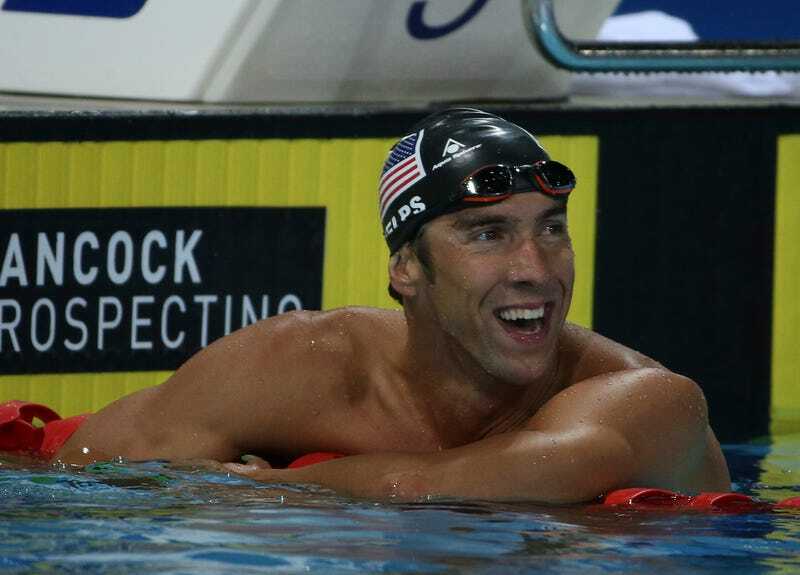 Earlier this year, Phelps announced his return to competitive swimming with an eye on competing at the 2016 Olympics in Rio de Janeiro.